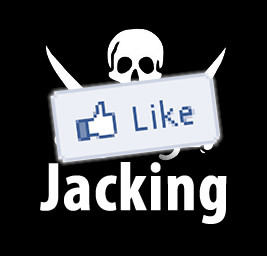 Hello Friends, This is about Likejacking, how to Get More Likes For Your Facebook Fan Page. Note: From the Footer Script inside <iframe> tags, replace "http://www.facebook.com/ssutradhar35" with your own FB Fan Page Link. If You Check The Demo Page, Nothing Really happens when Visitor would try clicking, Its Just An Illusion, But that would fetch A Like For Your Page From the Visitor, without his/her knowledge. Now, If You Really Want To Use This, You Need To Open An Account With Free Or Paid Web-Hosting, And Host This Page, And Share The Link Among Friends. And If You Are A Web Defacer, You Can Well Use Them With Your Defacement And Then See The Magic. how can we run it on wordpress?? ?